Finally had a chance to go to Pho 9N9 after I started this blog! I’ve heard from Vietnamese acquaintances that this is one of the best places to get pho and such, so I’m pretty excited to give it a review. 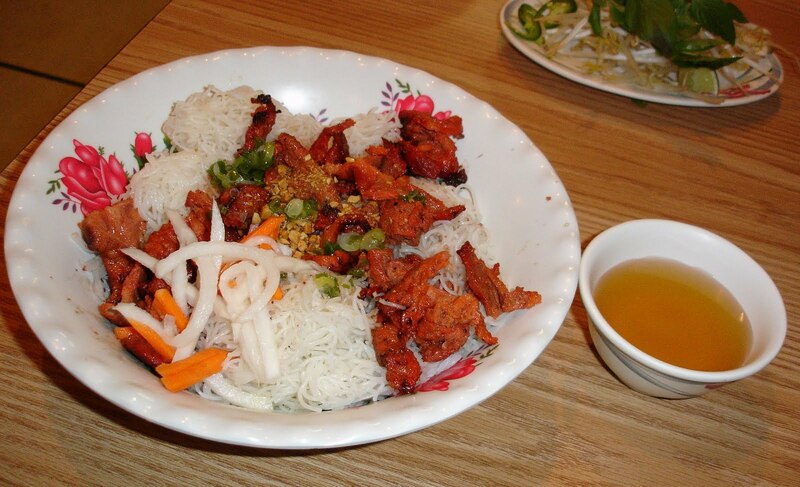 It was quite a warm day, however, so I actually decided against ordering the pho and went with the grilled pork over vermicelli instead – shown below. Seeing as it’s getting colder outside, I will most likely be reviewing 9N9’s pho sometime soon.